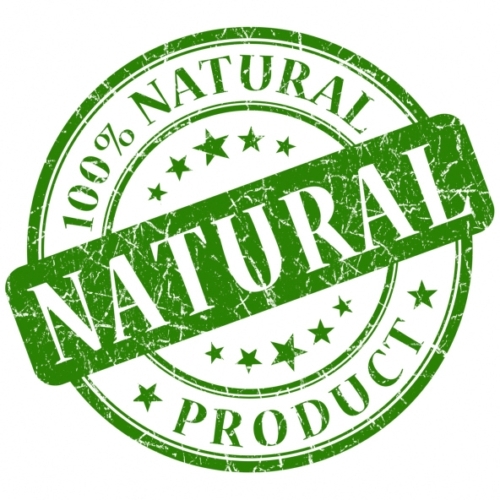 The Food and Drug Administration (FDA) has begun accepting open comments on the use of the term “natural” or “all natural” in product labels. Specifically, the FDA is asking for public input on whether it should attempt to define the term “natural” in advertising, if yes then how it should do so, and how the agency should establish appropriate use of the word on food labels. The FDA has long lacked an active definition of the word “natural” and the related derivatives. When the word is employed commercially, the agency does not normally object unless the food in question has added color, artificial flavors, or synthetic substances. This policy was never intended to cover production, processing, or manufacturing methods, which has resulted in a large vacuum where the use of the word “natural” has become ambiguous. The use of pesticides, genetically modified produce or livestock, added antibiotics, additional sugar, cornstarch or other non-synthetic additives are all not covered by the FDA’s working policy on the matter. Whether or not something like high fructose corn syrup is considered natural is left to the eye of the consumer or advertiser. This policy has also left companies with enough wiggle room to get away with marketing claims that on their face seem unintuitive. PepsiCo Inc., the makers of “7 Up” —a heavily processed, sugary, carbonated drink that contains no fruit juices—once ran advertisements declaring the soda “all-natural”. These uncertainties have resulted in many lawsuits against food manufacturers and several petitions for the FDA to either establish a definition or ban the use of the word “natural” entirely. Such results are cited by the agency as part of the reason behind its new drive for public comment. The FDA has specific definitions for certain labeling claims but these are ones that have a more objective component such as declaring that a product contains “no fat”. There is, however, precedent for the regulation of a more subjective term like “natural”. The Department of Agriculture has had strict standards for what can be called “organic produce” since 2002, which it denotes with the USDA Organic Seal. Consumers and companies stand to benefit should a more comprehensive definition of “natural” be created. Consumers will be able to know specifically what to expect when they buy food with the label and enjoy consistency across different products. Companies will be able to have actual guidelines on how they can make sure their food is in compliance, rather than rely on the lawsuit-prone gray area that currently exists. Comments can be submitted to the FDA by following the instructions on their website. The agency will be accepting public comments until February 10, 2016. “”Natural” on Food Labeling,” U.S. Food and Drug Administration web site, November 11, 2015; http://www.fda.gov/Food/GuidanceRegulation/GuidanceDocumentsRegulatoryInformation/LabelingNutrition/ucm456090.htm. Aubrey, A., “What’s ‘Natural’ Food? The Government Isn’t Sure And Wants Your Input,” NPR web site, November 11, 2015; http://www.npr.org/sections/thesalt/2015/11/11/455506222/whats-natural-food-the-government-isnt-sure-and-wants-your-input. “CSPI to Sue Cadbury Schweppes over, “All Natural 7UP,” Center for Science in the Public Interest web site, May 11, 2006; http://www.cspinet.org/new/200605111.html. “Organic Standards,” United States Department of Agriculture web site, http://www.ams.usda.gov/grades-standards/organic-standards, last accessed November 13, 2015.